finally, that new one from Fairfield connecticut. nadiscover ko pwede rin pala yung regular guy may blues..
ayun saka nalang ako nag start mag aral ng blues. "Night gathers, and now my watch begins. It shall not end until my death. I shall take no wife, hold no lands, father no children. I shall wear no crowns and win no glory. I shall live and die at my post. I am the sword in the darkness." The music precedes the man. Very few here knew the genius of this great Chicago bluesman. I only have to hear him once (Super Session with Al Kooper) for me to say this is the best blues guitar player ever to have awed and inspire me. Very loose and fluid improvisation. I have never seen anyone who has the heart and soul in playing blues guitar without any 'yabang', just pure passion! He is sorely missed. trivia: it was bloomfield who discovered and introduced the young Johnny Winter into the music world. 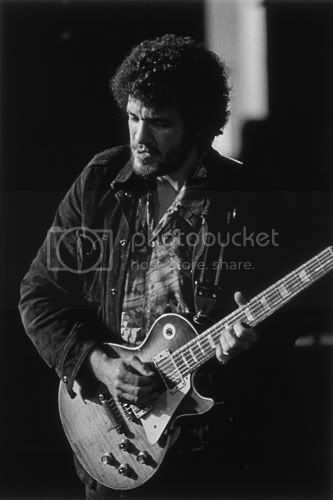 Nadiscover ko si Mike Bloomfield not too long ago when I was reading a top 10 list of best guitar solos, instant fan agad ako! Unang pakinig ko ng Albert's shuffle, I felt the same way when I heard Hendrix and Albert Collins play the blues! Albert Collins naman when I heard the song If trouble was money, instant fan din ako! Maraming mas sikat at highly revered blues musicians like BB King, Albert King, SRV, that i love. But Hendrix, Bloomfield, and Collins inspire me the most pag blues. Tips naman on learning Blues. Yung mga ayaw umamin jan ah. John Mayer pa more! Got tired of listening to blues, i should have a daily dose of blues. Wait, sinu kaya hahaha. I got hooked into listening and playing blues because of John Mayer although he is not my best inspiration. I learned that he was heavily influenced by SRV, BB King and Hendrix and these 3 started it for me. tska yung tone kasi niya, sobrang WOWZA! Naengganyo mo ko ah hehe..slow hands din ako small pa pero looking at Mateus’ fingers parang pareho lang kami haha. I’m gonna watch more videos of him then especially the mini lessons matsalam! Naengganyo mo ko ah hehe..slow hands din ako small pa pero looking at Mateus fingers parang pareho lang kami haha. Im gonna watch more videos of him then especially the mini lessons matsalam! Anyway, kakapanood ko kay Mateus Asato napadpad ako sa videos ni Guthrie Trapp, Josh Smith and Robben Ford. I learned a new scale, "diminished scale" pero di ko pa alam pano incorporate sa blues try ko sa backing tracks.